Con Funk Shun is a Funk & Soul band formed the early 70’s. 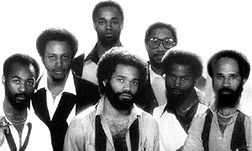 The group was formed by Michael Cooper (vocalist/guitar) and Louis “Tony” McCall (drummer), along with Karl Fuller (trumpet), Paul “Maceo” Harrell (saxophone/flute), Dennis Johnson, Cedric Martin, and Danny “Sweet Man” Thomas. Felton Pilate (trombone/lead vocals) was the last to join the group. They all have been playing together since their high school days in the city of Vallejo, Ca. Sly Stone, born Sylvester Stewart is a Rock Funk & Soul and R&B artist. He was the lead member of Sly & The Family Stone. Sly Stone and his brother, Freddie Stone (singer/guitar), combined their bands in 1967 (Sly & the Stoners and Freddie & the Stone Souls). Sly, Freddie, Cynthia Robinson (trumpet), Gregg Errico (drums), Jerry Martini (saxophone), and Larry Graham (bass) are the original members of the original lineup. Sly and Freddie’s sister, (singer/keyboard) Rose Stone, joined within a year. 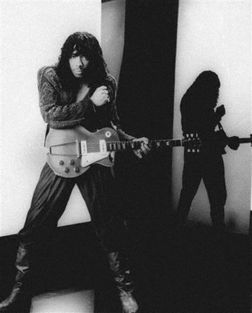 Rick James, born James Ambrose Johnson, was a Funk & Soul/R&B artist/bass player who grew up in Buffalo, New York. He first started off singing on street corners with some neighborhood friends. He fled the country at age 15 in an act to avoid the Navy. He was sought to be selected in the draft, so he fled to Toronto, Canada where he then pushed his passion for music. 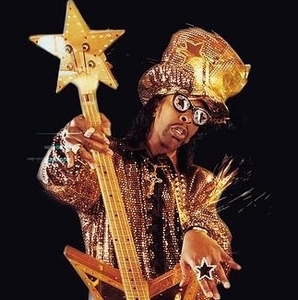 Bootsy Collins is a Funky bass player/artist from Cincinnati, Ohio. He first started of playing bass guitar when he was a child. He took bass strings off of a bass guitar and put them on a regular guitar because he didn’t have a bass to play. He formed a band with his brother Catfish and neighborhood friend Franky Waddy called The Pacemakers. They were noticed by James Brown one day just having a jam session until his band showed up. James liked them enough to keep them around in case he needed them, and luckily one night James flew the band out to Columbus, Georgia to play with him that same night. Bootsy, now 18 years old, was now the bass player of James Brown’s band. 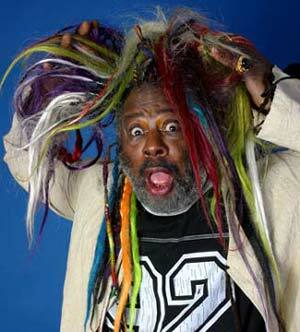 George Clinton first started of as a member of a local Doo Wop group in the 50’s called The Parliament. They sung on the street corners, and against other Doo Wop groups. In the 1967, George released a song with The Parliament called “Testify”. The song reached #20 on the Pop Charts during a time where his hometown as well as other cities in the US were having “Race Wars” as the media called it. James Joe Brown Jr. aka “The Godfather of Soul,” “Mr. 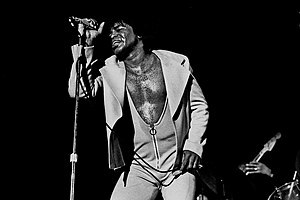 Dynamite,” “Soul Brother Number One” and “The Hardest Working Man in Show Business,” is by far the most influential and popular Funk/Soul artist in America. He is known as the creator of Funk music. He is also responsible for the development of many different musical genres. He was born in Barnwell, South Carolina and raised by 2 aunts and a brother in Augusta, Georgia. As a child, James sang at talent shows, and performed buck dances for a little extra change. He learned how to play the harmonica, drums, guitar, and piano. As a teen he decided to focus more on music in his teens after he met Bobby Byrd, who later became a member in his band.